Alright, so Nokia has a good grasp on what the word exclusive means. But Microsoft takes a more liberal stance towards supporting other platforms. We’ve seen the big MS publish previously Xbox Windows Phone exclusive games to iOS before, such as Kinectimals and Tentacles. It always hurt, but we sucked it up and complained only in small doses. Yesterday, another exclusive turned coat and migrated to iOS: Microsoft’s own Wordament. 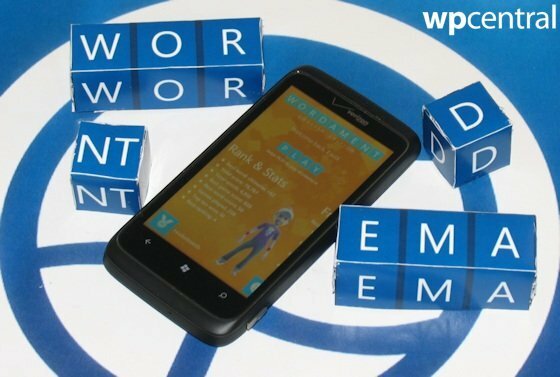 I had previously speculated that Wordament could function as a killer app, attracting gamers to Windows Phone with its highly addictive gameplay and smart design. That will no longer happen, but here’s the really bad news: Wordament on iOS is an Xbox Live title complete with real Achievements! 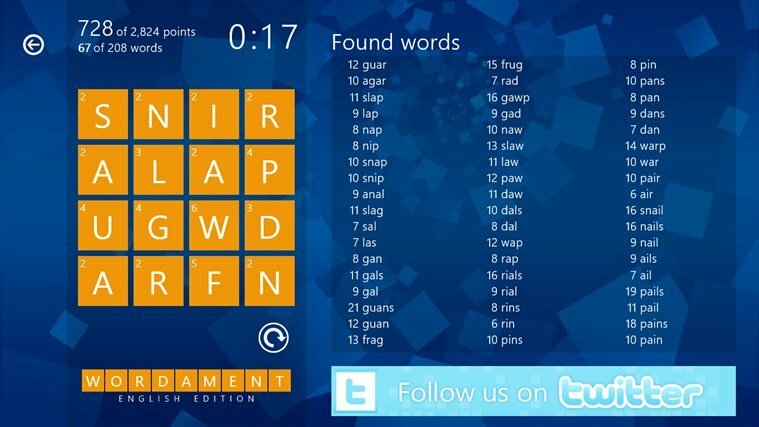 Yes, Wordament has become the first game on a non-Microsoft platform with Xbox Live Achievements. Sure, it only offers 50 GamerScore worth of Achievements as opposed to the Windows Phone and Windows 8 versions’ 200 GamerScore, but it’s only a matter of time until that 50 GS limit rises to 200 GS. At the time, I hoped that he was just stringing along the attendant iOS and Android developers with deliberately vague answers. 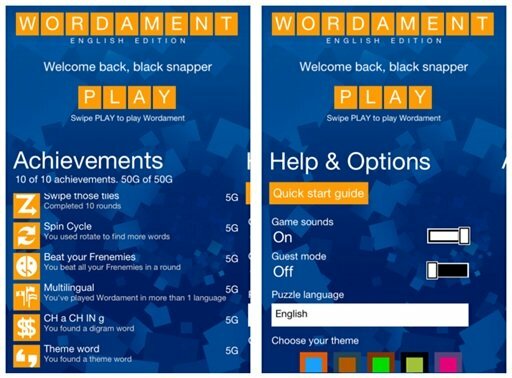 But the iOS version of Wordament was likely already in development. Knowing that Xbox Live Achievements would spread to competing mobile platforms, Navarro’s encouragement was subtle but honest. 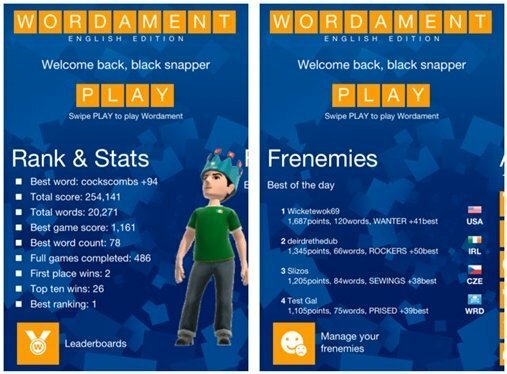 Wordament is also the first Xbox Live game with cross-platform multiplayer. 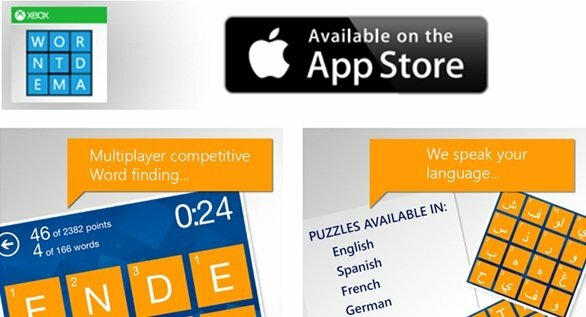 iOS players compete against Windows Phone and Windows 8 players in real-time, trying to find as many words as possible during each round. 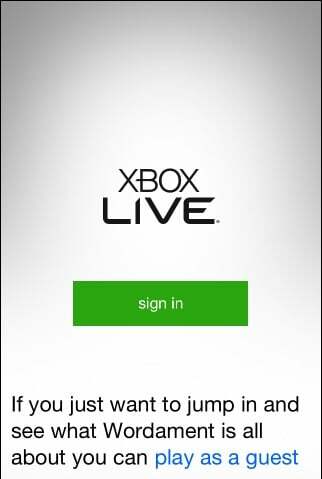 Existing Wordament players who sign in on an iPhone or iPad will see all of their existing Xbox Live Friends and frenemies. Presumably, stats and rankings carry over as well. Now, I can’t rally against this feature because if you’re going to port Wordament, of course you want everyone to play against each other. The ability to play the same game simultaneously with non-WP friends is alluring. A fair chunk of Wordament’s appeal is seeing so many other players sharing the same experience and comparing your own results against theirs. On the Xbox 360, Microsoft has long opposed cross-platform multiplayer of any kind, even when developers wanted it. That’s why Playstation 3 and PC players can enjoy Portal 2 together, but Xbox 360 players cannot. Hopefully Wordament is proof of a new stance on that well-liked feature from Microsoft. Wordament, we used to be proud of ya! Now, every time we complain about the loss of an exclusive, somebody hops in and responds that they hate exclusivity and that Windows Phone doesn’t need exclusive apps and games. And let’s face it; Windows Phone exclusivity is bad for some people: iPhone and Android users who have no plans to switch to WP and don’t want to be incentivized to make that switch. For them, every little thing that makes Windows Phone look better is a curse instead of a blessing. But let’s remember that Windows Phone continues to be an underdog platform. Android and iPhone have a huge lead, both in market share and the public mindset, which makes it hard for Windows Phone to compete on even ground. For Microsoft’s scrappy little mobile OS to win over new users, it needs features, apps, and games that those users can’t get anywhere else. Why else would an average Joe give up the iPhone he already owns hundreds of games on and throw in with Microsoft? Make no mistake; Wordament popping up on iOS with Xbox Live Achievements is a vote of no confidence in the Windows Phone platform from someone at Microsoft. In case you didn’t know, Microsoft is comprised of multiple teams housed in separate buildings, each one responsible for its own little niche in the company’s business. These teams have little incentive to cooperate with each other when they’re not forced to do so by senior management. In fact, even within a team employees actually compete with each other in various ways, but that’s a story for another day. So the situation is that many portions of Microsoft simply don’t care whether Windows Phone lives or dies. They’re just concerned with turning a profit for their divisions rather than helping out a floundering mobile division. We still don’t have a mobile (and exclusive) Halo or Forza game (two of Microsoft’s strongest console game brands). Microsoft doesn’t just throw money at big developers to get them to bring big name games to WP even though they could afford it a thousand times over. We got no new Xbox games for two weeks within the last two months. There are exactly two Xbox Windows Phone 8 games after two months of the new OS’s availability. Don’t think this is the end of days for Windows Phone or that I’m ready to jump ship over Microsoft’s mixed signals. But you know, not everyone understands Microsoft’s divisive nature. They look at the big MS publishing games and bringing Xbox Live to iOS and they see a company that doesn’t believe in its own mobile platform. You will never catch Apple releasing one of their hot products for Windows Phone, nor Sony bringing their games to the Xbox 360. They’re focused on making their own products succeed, not competing against themselves. If only Microsoft would show the same solidarity and commitment to their brilliant Windows Phone platform. All implication aside, let’s not forget that Wordament is simply a fantastic word game. It did make our list of 5 Must Have Xbox Games, after all. And just look at our review! Wordament, much like Boggle, involves trying to find as many words as possible from a field of 16 letters, all within a time limit. The hook? You’re competing against hundreds of others in real-time over the internet. Rounds last for a couple of minutes. Once they end, you get to see how you compared against everyone else, and then the next round starts a few seconds later. Some rounds have hidden themed words and digrams (words that use a specific combination of two letters) to find as well. You can also add specific players to your Frenemies list and keep track of how you stack up against them. It’s all incredibly addictive. Wordament is free and supported by ads on all platforms. Seeing as how each version counts as a separate game Achievement-wise, GamerScore fiends might as well play every version they can. I'd certainly be tempted to if I had an iDevice! Update: Check out sister site iMore's impressions of the iOS port. It sounds a little rough compared to our version, but those kinks will surely be smoothed out over time. Update 2: As it turns out, the iOS version was developed by Babaroga, makers of Zombies!! !, Shuffle Party, and several other Windows Phone games.